A river in the sky is hosing San Francisco, a girl in Mississippi was apparently burned to death and the officer who slung his arm around Eric Garner's neck says it wasn't a chokehold. River in the sky: San Franciscan’s can trade in their usual garb of sweaters and windbreakers for mariner’s rain gear today. Rain by the bucket has the region - otherwise officially known as drought central - shutting down schools, sandbagging shops. Why the sudden dousing? A so-called “atmospheric river,” a band of intense cloud moisture a couple of hundred miles wide, has split off from the tropics and is washing into the West Coast. Gusty storm systems piling in on top of it are catapulting big waves at the shoreline. President Barack Obama takes a look at Ferguson unrest Monday, an American couple is still being held in Qatar after being cleared of charges, and Cyber Monday's got Black Friday squarely beat. 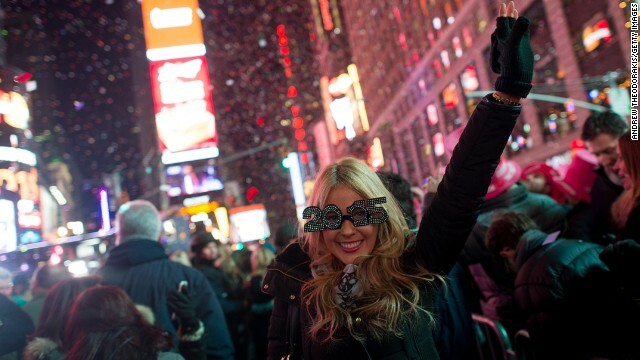 It's Monday, and here are the "Five things to know for your New Day." Hands up for a hug: A moment of reconciliation has emerged from the avalanche of images showing protests over the fatal shooting of Mike Brown. A photo of a white cop hugging a black teen in tears at a protest in Portland, Oregon, has gone viral. Ferguson is high on Obama's agenda Monday with a Cabinet meeting on law enforcement. Then he sits down with elected officials, civil rights activists and faith leaders to talk about building trust in American communities. 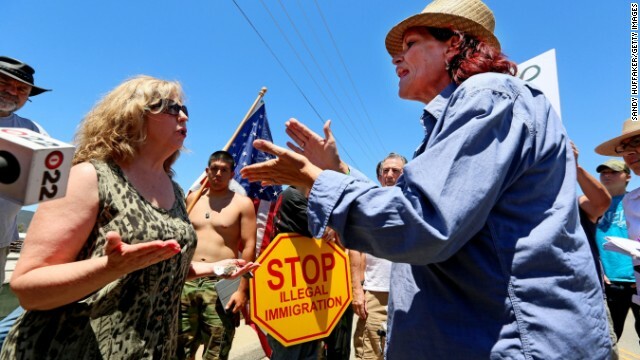 Anti-immigration activists and immigration sympathizers argue in Murrieta, California. The President faces political snipes over immigration as he heads for Texas today. Palestinians are sick of conflict as fighting with Israel goes on, and Donald Sterling puts on a show in court.